Pastor Steve was born and raised in Indianapolis Indiana. He is the youngest of five children. He joined the Marine Corps and relocated to California, where he met his wife Trish and started a family. Pastor Steve has over 40 years ministry experience. 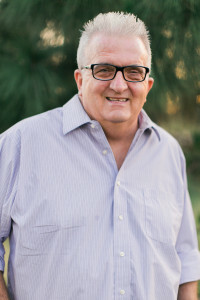 He served successfully as the state youth director for several years and toured the country ministering in conferences, youth camps and couples retreats. 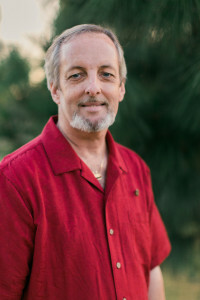 Pastor Steve has a Master degree from Liberty University in Counseling. He is a member Sigma Alpha Lamda, graduated with high honors and has his name published in ‘Who’s Who Among Students in American Colleges and Universities’. Pastor Steve is proud to be a part of the La Habra community. His creative style for delivering the Word of God will challenge you and encourage you. He has been married for 35 years, and has two sons, and three grandchildren. He loves making his famous fried chicken, spoiling his grandkids and going on dates with his wife Trish. Trish is a true Community Pastor. 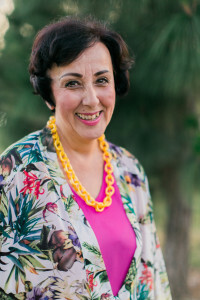 You will often find her out in the neighborhood interacting with the families of La Habra. She possesses a sincere heart and passion for community evangelism, she truly lives the great commission. Trish’s testimony will inspire you and encourage you to seek out the will of God for your life. 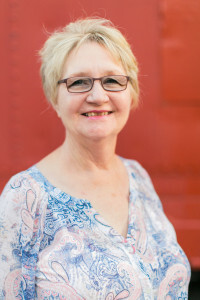 Trish is a former high school teacher and still maintains the same passion for teaching. Trish uses creative and out of the box demonstrations to help students retain the knowledge found in God’s Word. She is a writer and proficient communicator. 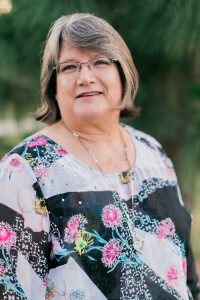 She has traveled the nation speaking to teenagers, women’s groups and children’s ministries. Trish recently formulated ‘The Brain’ which is a step by step ‘how to’ guide for executing events at FBC. She is married to Pastor Steve. Trish loves going to New York, Broadway musicals and writing. 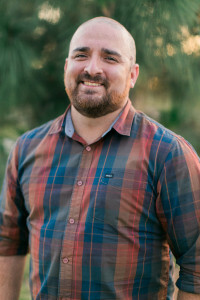 Stevie is the leader, and founder of Twenty9Eleven Youth Ministries. He happily embraces the role of ‘son of a preacher man’. While other eight year olds in his neighborhood were playing cops and robbers. Stevie was putting the finishing touches on the sermon he would be delivering to his little brother, and cousins. This same passion for sharing the word of God has only grown over the years. Stevie is a walking miracle. God has preserved his life through an aneurysm, collapsed lung, punctured heart and cancer twice. Stevie will have you laughing out loud one minute with one of his wild stories, and will appeal to your heart the next moment with his unique delivery of God’s word. His passion is to encourage young men, and women to live a life without limits, and to never make small plans for their lives. Stevie is married to Becky Jones. They have three children, Elijah “Squish”, Micah “The Kraken”, and Gracie “The Princess” . He loves hi-tops, sunglasses, and cotton candy. 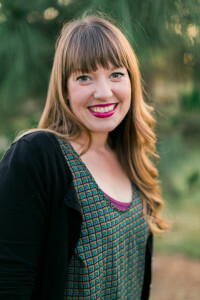 Becky has a passion for reaching out, and connecting with people. Her genuine love and compassion for people leads her to finding new and creative ways to not only interact with people on a personal level, but to also reach out and encourage people via social networking through all of FBC’s social platforms. You will always find Becky ready with a warm hug and a sincere smile. Becky loves to sing, and helps lead worship. Becky also leads Twenty9Eleven with her husband Stevie. She is dedicated to encouraging young women to seek out the heart of God, and to always search after purity in their relationships. Becky and Stevie have two very busy, very amazing little boys Elijah, and Micah and a beautiful baby girl, Grace, all of whom are the apple of their mother’s eye. Becky loves to shop, she loves shoes and loves iced lattes. Kevin is always full of surprises. Unique treats and nostalgic gifts are just a couple of Kevin’s calling cards. FBC is proud to have Kevin in the role of Pastoral Care. Kevin is an intensive listener, an excellent communicator and the king of one liners. Kevin is always looking for ways to share his unique generosity with the families of FBC. He is a skilled draftsmen a proud father to two successful University students, Brandon and Rebecca. Kevin is an avid pin collector, loves Pepsi and NASA. Rene loves people! You can find Rene every week at FBC anxiously waiting to greet whoever walks thru the doors. When she says, ‘It’s great to see you’ you will know she means it. Her genuine welcoming personality will have you feeling at home in no time. We are proud to have Rene serving as our Hospitality Coordinator. Rene is an adoring mother to her two children, Brandon “The Singer”, and Rebecca “The Thespian”. Rene enjoys serving high tea and baking. Gloria is a jack of all trades. She uses her talents and abilities to not only help FBC run smoothly, but also bring glory to God. Whatever you need Gloria will work tirelessly to help you achieve the finished product you’re looking for. Gloria is an encourager and is always there to lift you up when you’re feeling down. Gloria has a heart for prayer, and heads up FBC’s weekly Monday Night Prayer. She has two daughters, and two granddaughters. Gloria loves road tripping across the country, rodeos and a good game of Skip-Bo.